Perhaps you were wondering how to choose a Batik Kaftan from our BatikKaftanCrafts store? Thought that I would too if I were a customer. 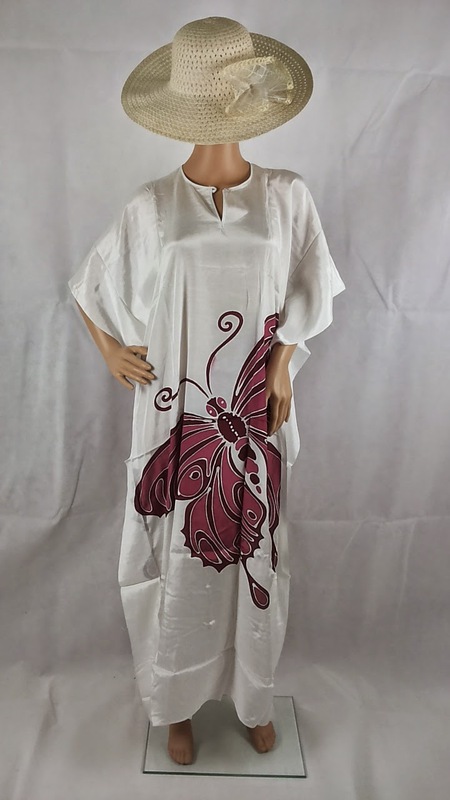 BatikKaftanCrafts specialises on full length batik kaftan.. the one that covers from neck to about ankle length, I am myself around 1.65 m in height and therefore most of the kaftans featured here fit me nicely - most long batik kaftans would measure around 52 - 54". 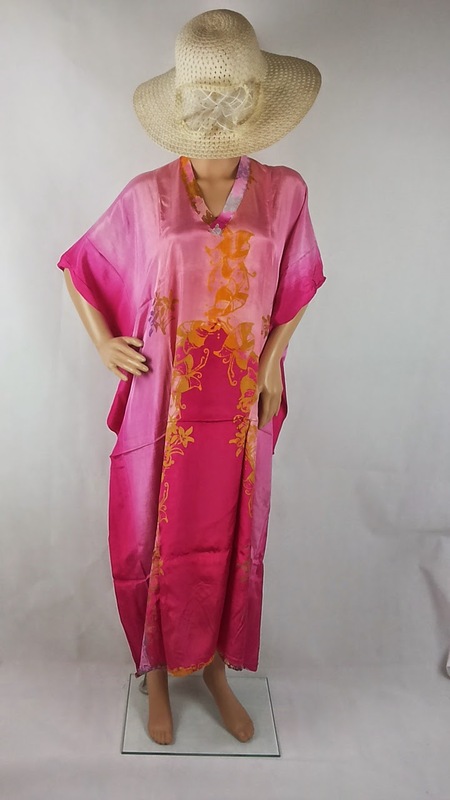 The kaftans are loose with width around 37 - 40" so it hang comfortably without restriction. The colour preference would be depending on your own taste. 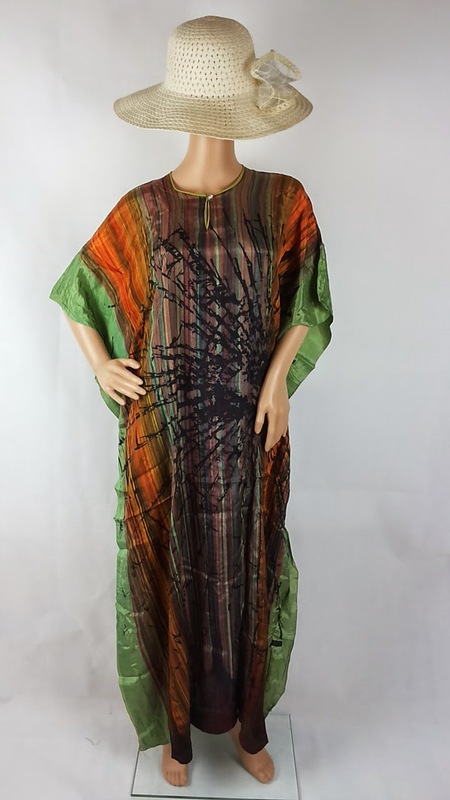 I love fun bright colours however I also understand markets in the USA, EU and UK prefers natural, more muted colours, so it is depending on your taste completely, there are no wrong choice on a batik kaftan. Each is an art of its own. It you would like a bit more of coverage, perhaps a batik kaftan with more design in front such as our goldline selections. Pink would be a bit sheerer while black and darker colour would give more coverage. Well, that's it on how to choose the perfect batik kaftan for your need. Apart from the sheer factor, perhaps you would love a frangipangi design or just abstract swirls. Perhaps sweet pink or elegent black, it is all up to you. 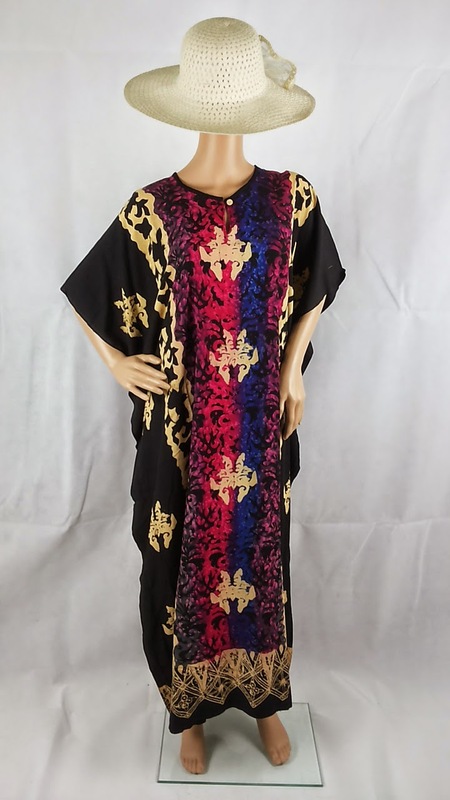 However, one thing for certain.. purchasing a batik kaftan ensuring that you would be the sole owner of the kaftan as even though they might look similar, each batik kaftan is an art piece on its own. Enjoy!